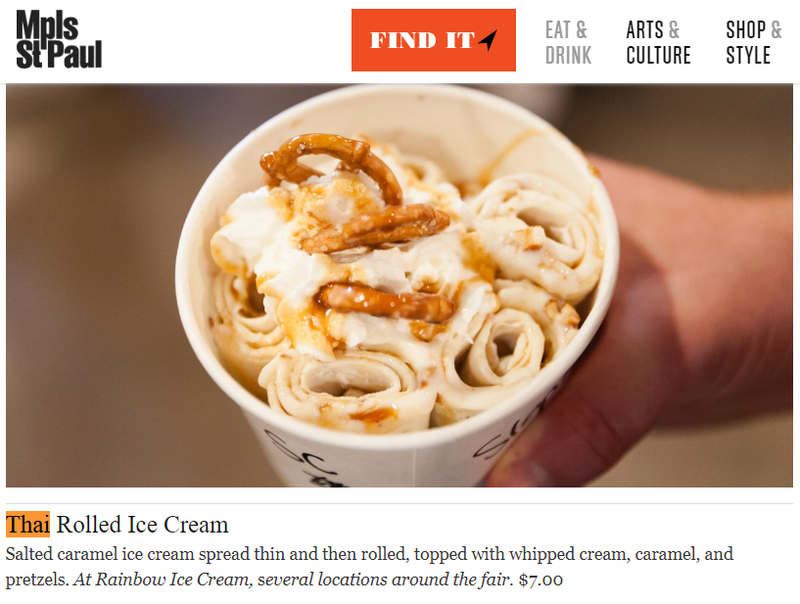 ​"We Ate ALL the New Foods at the 2017 Minnesota State Fair"
​Go forth, friends, armed with our food-coma-inducing knowledge." SM: GET IT. Sleeper hit of the fair, this one is fun to watch and fun to eat. 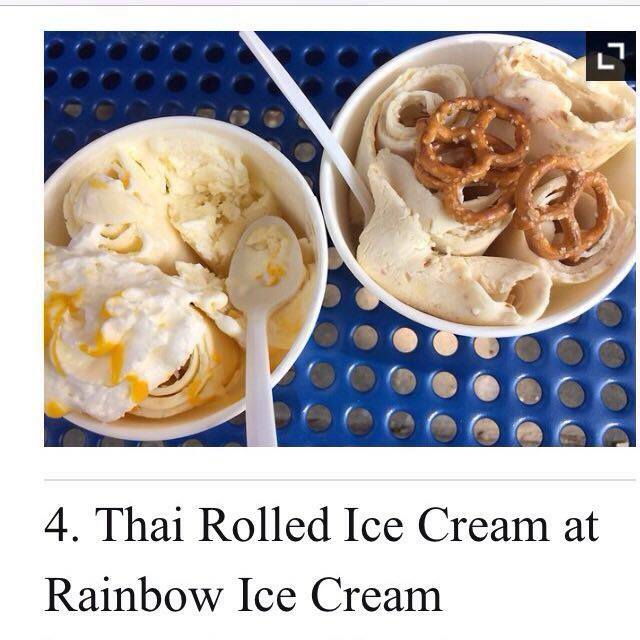 They take your ice cream, mash it up, smoooooothe it flat, then roll it into rolls (like a HOHO). Skip the whipped topping and just go for the ice cream. DW: GET IT. I cannot possibly describe this, which should be all the more reason for you to experience it for yourself. 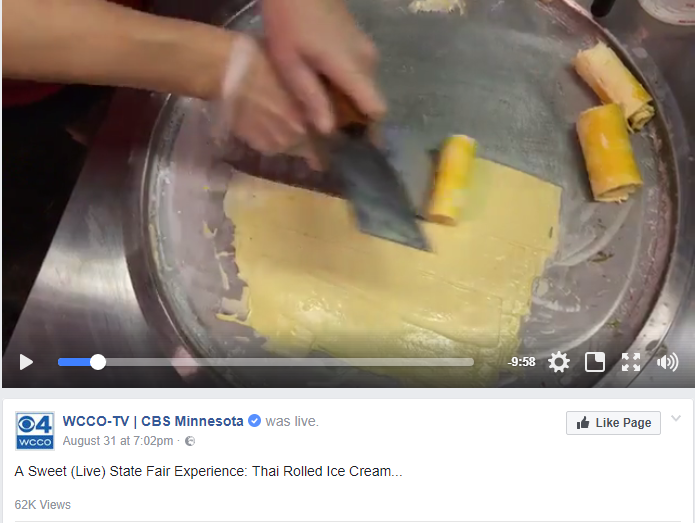 "State Fair: Dara's Top 5 New Foods 2017!" Oh the humanity! I came, I ate, I judged. Now I'm covered with powdered sugar, but that's OK.
Who's in the mood for a fun gimmick? I hope it's you! 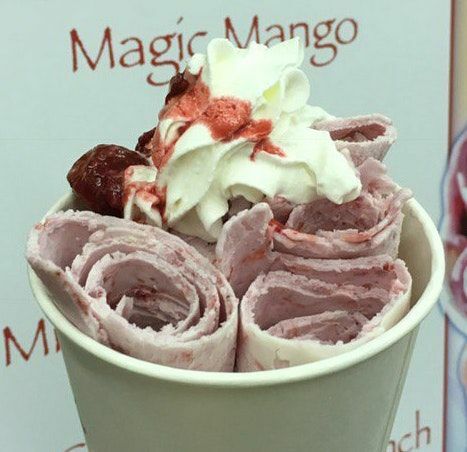 Ribbon ice cream is what happens when you pour standard ice cream base on a super-cold griddle, it freezes flat, and then you scrape it into a ribbon. While this is not more delicious than ice cream of the standard sort, it's fun to watch, and you're not going to find it everyday everywhere, so I recommend it. Pro tip: Ask for it without the "whip." The spray-can whipped cream has a chemical aftertaste and is not delicious. 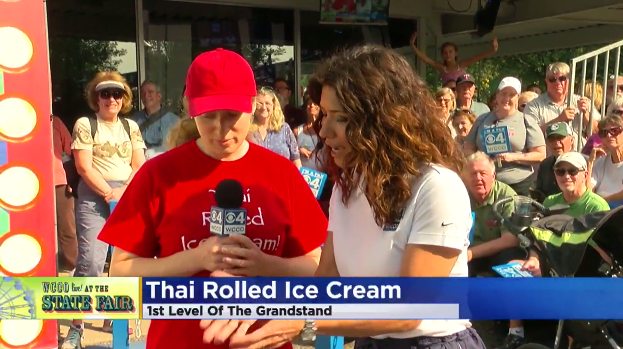 ​"From best to worst, 56 new foods at the Minnesota State Fair — and where to find them"
Our food critic ate his way through all the new foods at the Minnesota State Fair on opening day. So trendy it appeared in the Twin Cities a week ago, literally. Half the fun is watching the show. Five tempting flavors. $7.50.